Delhi Daredevils won the match by 34 runs. Delhi Daredevils won the match by 34 runs against the Chennai Super Kings at Feroz Shah Kotla, New Delhi. Harshal Patel was awarded the Man of the Match for his all-around execution with the bat and the ball that kept Chennai Super Kings waiting for top 2 spot. Team Circle of Cricket gets down to list the 5 talking points of the match. Chennai Super Kings bowlers started off the things very nicely. They kept restricting the host to take easy runs on the board. Chennai took the early wicket of Prithvi Shaw to limit Shreyas Iyer and Rishabh Pant go for the big shots. Lungi Ngidi was the pick of the Chennai bowlers as he took the important wickets of both the players in the same over, slowing down Delhi's run rate. Shreyas Iyer made 19 off 22 balls before being bowled by Lungi Ngidi. Pant, who crossed 600 runs this IPL season, fell in the same over after a 26-ball cameo worth 38. After the early drop-off, Delhi Daredevils needed to construct a partnership on the board. Harshal Patel and Vijay Shankar did the exactly same accelerating Delhi's inning forward with scoring boundaries on loose deliveries. The duo had a partnership of 65 that made Delhi Daredevils look in a comfortable position. Harshal Patel chipped in a valuable 16-ball 36 not out to take DD to 162. Vijay Shankar made 28-ball 36 towards the end to lift DD to a respectable score after a middle-order collapse. Glenn Maxwell yet again had a regretful day of his IPL career. Chennai's main death over specialist, Dwayne Bravo was driven away for 26 runs in his last over. Spinner's swung the momentum back in DD's favor. Chennai Super Kings openers were facing difficulties scoring runs in the early overs that gave an edge to Delhi bowlers to pull things back in the game. Shane Watson contributed 14 runs to the opening partnership of 46 before falling. Amit Mishra had pluck two important wickets due to which struggling Chennai's asking rate went up to 12 run per over. It was the spinners of Delhi who turned things back for the host team. As usual, Ambati Rayudu played his part, smashing yet another half-century fo his team. After Dhoni's wicket, Chennai required 50 runs off 12 deliveries which was next to impossible, Delhi bowlers totally restrict Chennai to score runs, with match slipping from their hands, Delhi won by 34 runs. 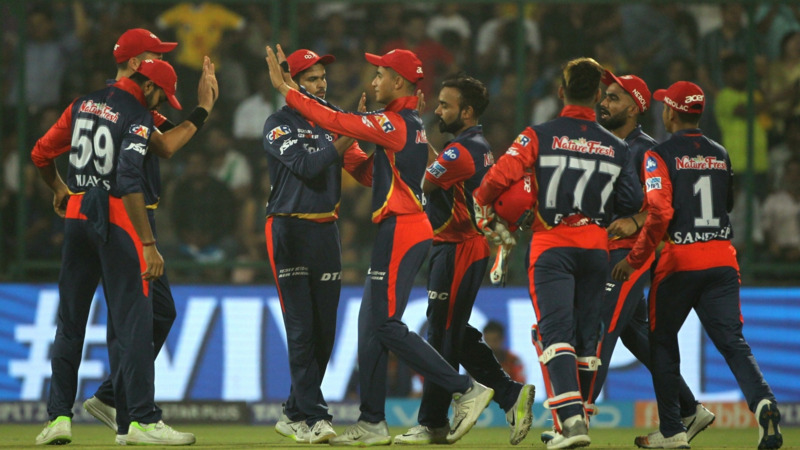 Delhi Daredevils won the match after beating Chennai Super Kings by 34 runs at home to register their fourth win of the tournament. 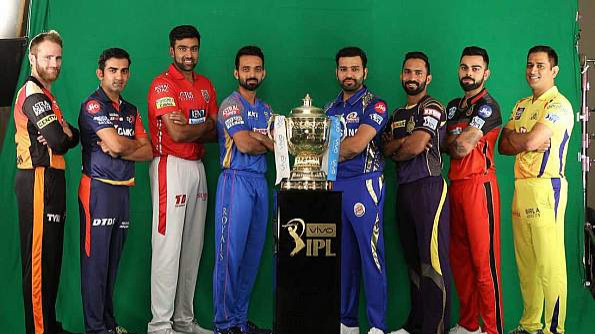 All a little too late for the Daredevils, though, with one game to go against the Mumbai Indians, which the Hitman-led Blues need to win desperately. CSK, on the other hand, have been shaken awake by the inevitable wooden-spoon holders and must address the problems highlighted in this match. Both teams will play at home on Sunday, the last day of the league stage. Delhi Daredevils welcome Mumbai Indians, while Chennai host Kings XI Punjab.